Exhibitions are scheduled monthly, presenting either solo or group shows, including painting, sculpture and limited edition graphics. 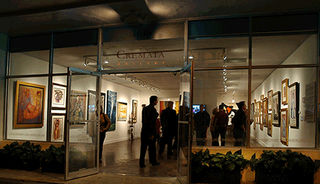 The artists that the gallery represents, under the curatorship of gallery director Raul Cremata, are a balance between established masters and younger emerging artists. This offers the buyers a range of styles, media, sizes and prices.